The GAO recommended Congress consider legislation that would require the “comprehensive and timely information on political appointees serving in the Executive Branch to be collected and made publicly accessible.” The Senate Committee on Homeland Security and Governmental Affairs is now considering the GAO recommendation. The OPM did not respond to requests for comment. 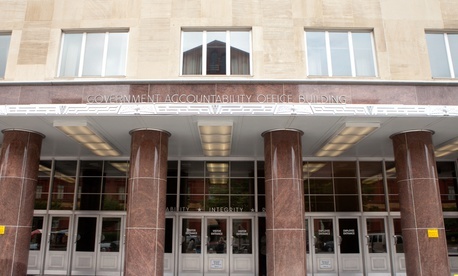 Elsewhere in the report, the GAO found several instances of lapses and delays in filing required ethics and financial disclosure records by political appointees at the Department of Health and Human Services, the Department of the Interior and the Small Business Administration. In response to the report, the lawmakers who requested the GAO review — Sen. Tom Carper, D-Del., Sen. Gary Peters, D-Mich., and Rep. Elijah Cummings, D-Md., chairman of the House Oversight and Reform Committee — criticized those federal agencies as well as the White House, which ignored GAO’s requests for information and interviews. Launched in March 2018, Trump Town is a searchable database of 3,232 current and former Trump administration political appointees, including their jobs and offices, employment history, lobbying records, government ethics documents, financial disclosures and, in some cases, resumes. ProPublica routinely requests staffing lists and other information through the Freedom of Information Act and the Ethics in Government Act of 1978. The Partnership for Public Service, founded in 2001 as a nonpartisan nonprofit that advises federal agencies during the presidential transition process, among other things, started publicly tracking political appointees who were subject to Senate confirmation in December 2016. “The basic insight of the GAO report is that you can’t truly have an accountable government if you don’t know who runs the government in real time,” said Max Stier, the partnership’s president and CEO.